Skin cancer is diagnosed by removing all or part of abnormal growth on the skin and having a pathologist examine it under a microscope. 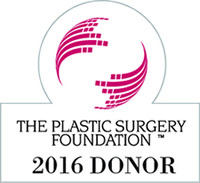 This procedure is referred to as a biopsy. Dr. Blechman performs biopsies in his office, although some patients have already had a biopsy performed and are referred to Dr. Blechman for further management. Many skin cancers are small enough to be removed in the office under local anesthesia. Patients with skin cancers on cosmetically sensitive areas such as the face or hands may have the cancer removed by a dermatologist with expertise in a procedure referred to as Mohs. Mohs is an office-based surgery to cut away the cancer one cell layer at a time until it has been completely removed, so as to leave the smallest wound possible. 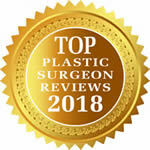 Dr. Blechman will then perform repair the wound from the Mohs surgery by using advanced wound closure techniques to give the most naturally-appearing aesthetic result. 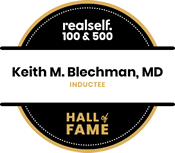 Dr. Blechman works closely with many Mohs dermatologists and can coordinate your care so that the cancer removal and the wound repair can be performed on the same day. Given their exposure, injuries to the face and hands are very common. If you have a minor laceration or wound that may need stitches we may be able to care for it in our office without you having to wait a frustratingly long time in an emergency room or urgent care center. Please call us and we will see you as soon as possible. If you have been involved in a major trauma and are now suffering from permanently disfiguring injuries we will be happy to evaluate you and determine what type of reconstructive procedures you might benefit from.